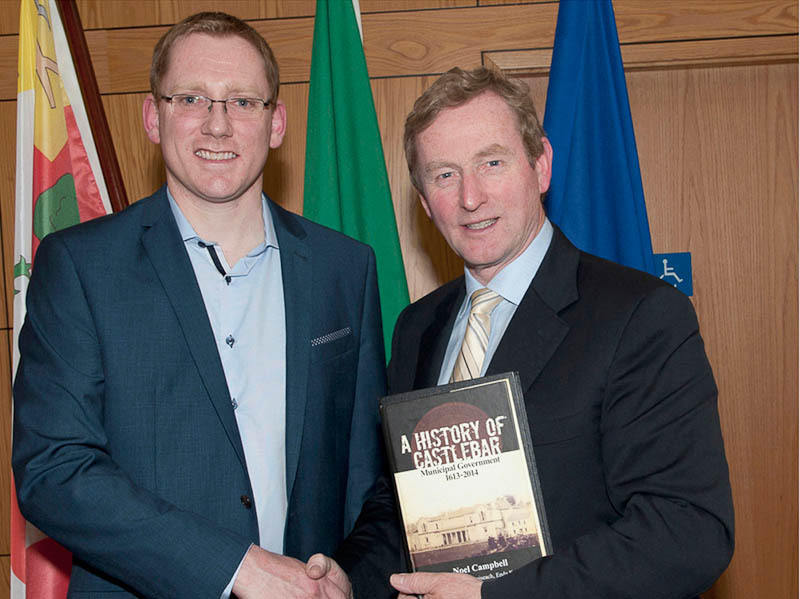 An Taoiseach Enda Kenny Launched Noel Campbells Book A History of Castlebar's Municipal Government 1613-2014 at the Courthouse Castlebar. Photo Tom Campbell. 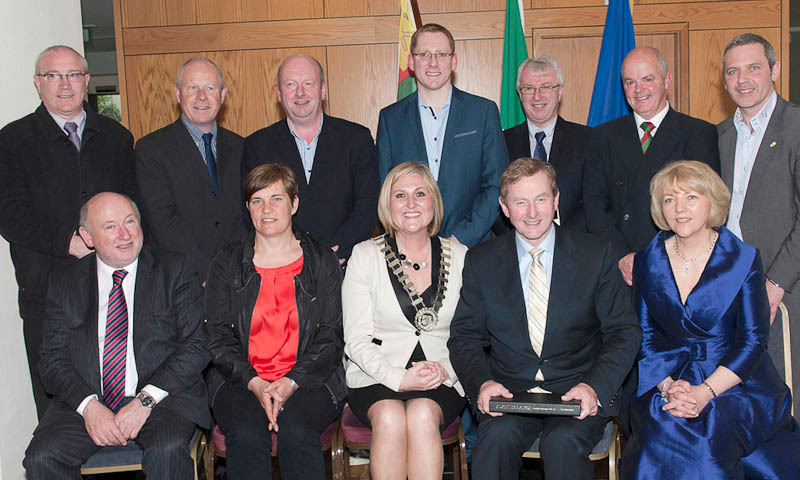 An Taoiseach Enda Kenny, Noel Campbell, Town Council Staff outdoor, former and present staff, and Mayo County Council members. Photo Tom Campbell. An Taoiseach Enda Kenny, Noel and Laura Campbell, Mr and Mrs Cyril Kileen at Book Launch. Photo Tom Campbell. 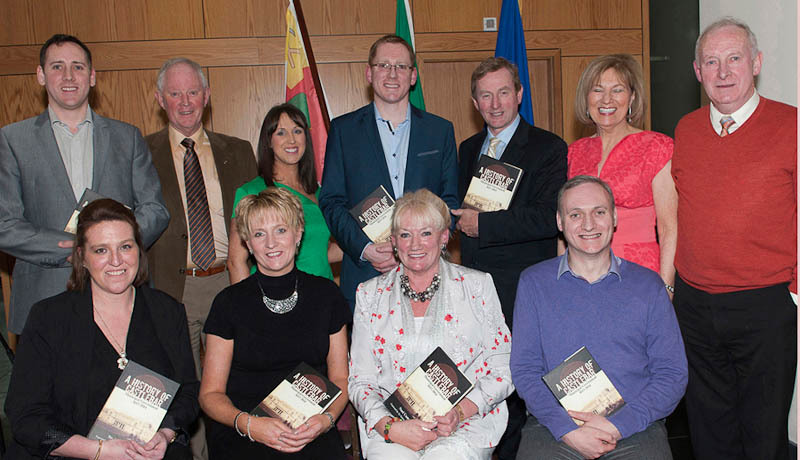 Members of The Campbell Family, with An Taoiseach Enda Kenny at Noel Campbell's Book Launch. Photo Tom Campbell. 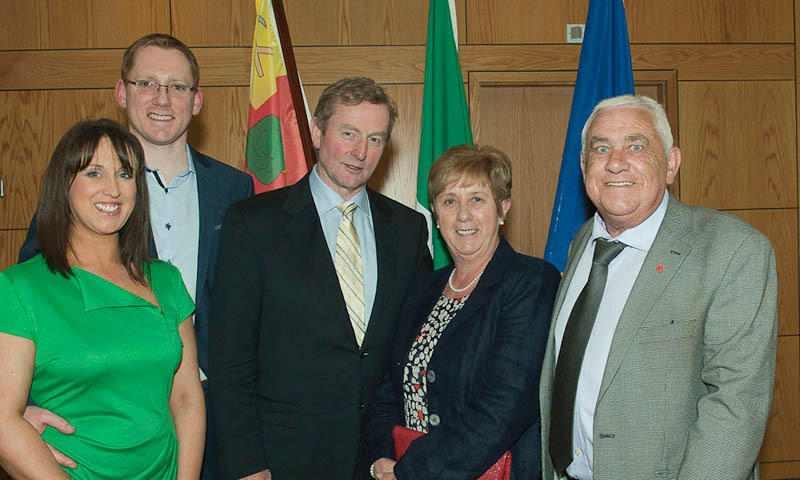 An Taoiseach Enda Kenny with Paddy Mahon Town Manager, Fintan Murphy County Registrar, Nora Coyne Town Clerk, and Castlebar Town Councillors at Book Launch. Photo Tom Campbell. 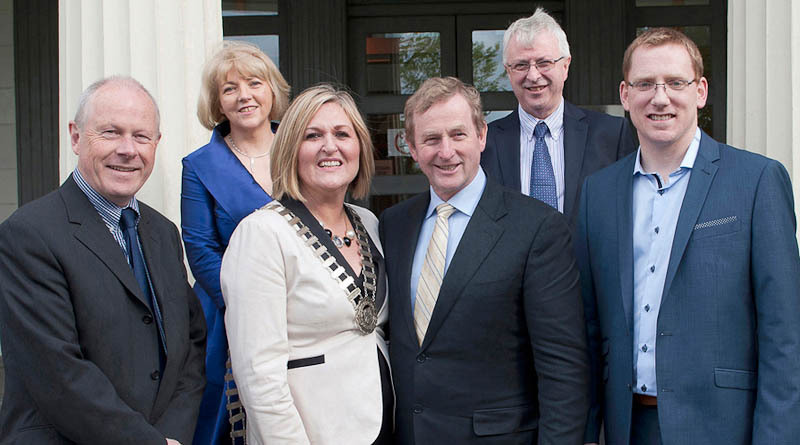 An Taoiseach Enda Kenny, Paddy Burke Seanad, Noel Campbell, Nora Coyne Town Clerk, Paddy Mahon Town Manager, and Former Chairmen Castlebar Town Council. Photo Tom Campbell. 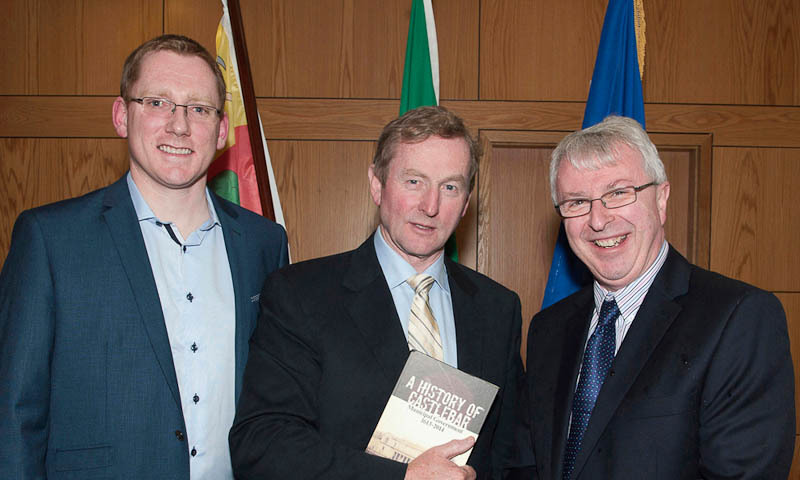 An Taoiseach Enda Kenny at Book Launch included in Photo Noel Campbell, and Fintan Murphy County Registrar. Photo Tom Campbell. An Taoiseach Enda Kenny arriving at the Courthouse, Cllr Noreen Heston Mayor, Noel Campbell, Nora Coyne Town Clerk, Paddy Mahon Town manager, Fintan Murphy County Registrar. Photo Tom Campbell. 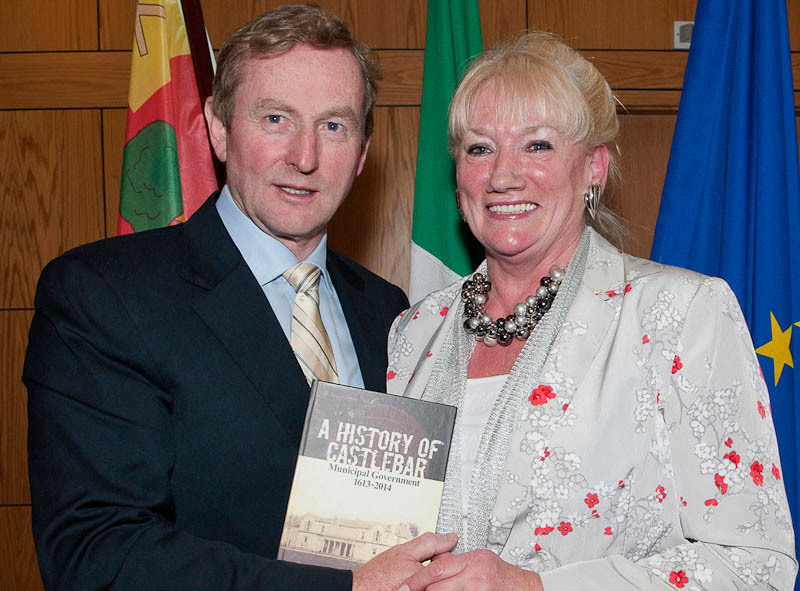 Annie May Campbell with An Taoiseach Enda Kenny at the Launch of Noels Book. Photo Tom Campbell. A Section of the crowd at the Book Launch in the Courthouse. Photo Tom Campbell. 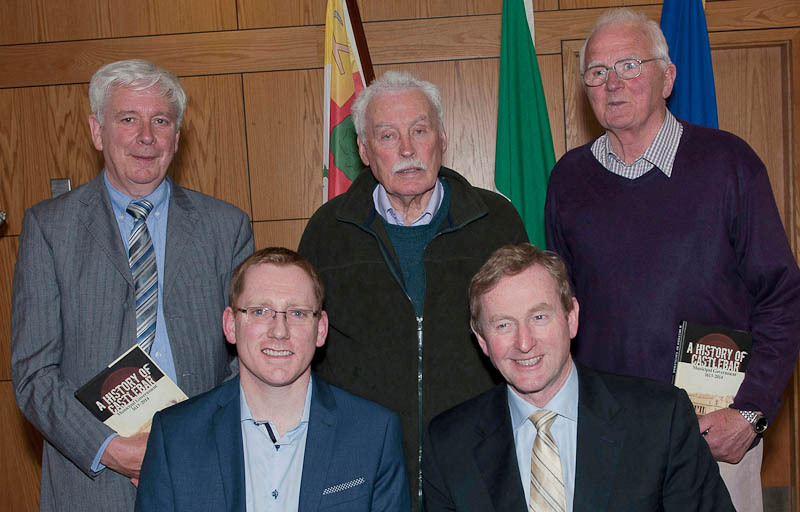 Freedom of Castlebar past Chairmen Members Paddy McGuinness, Johnny Mee, Sean Horkan, with An Taoiseach Enda Kenny, and Noel Campbell. Photo Tom Campbell. Michael Cunningham, Mgt Coyne, Paddy Burke Seanad, Nora CoyneTown Clerk, Cllr Ger Deere, Paddy Mahon Town Manager, Ann Flynn, Blackie Gavin, Therise Ruane at Noels Book Launch. Photo Tom Campbell.